We love crafting. But we especially love making crafting easy! 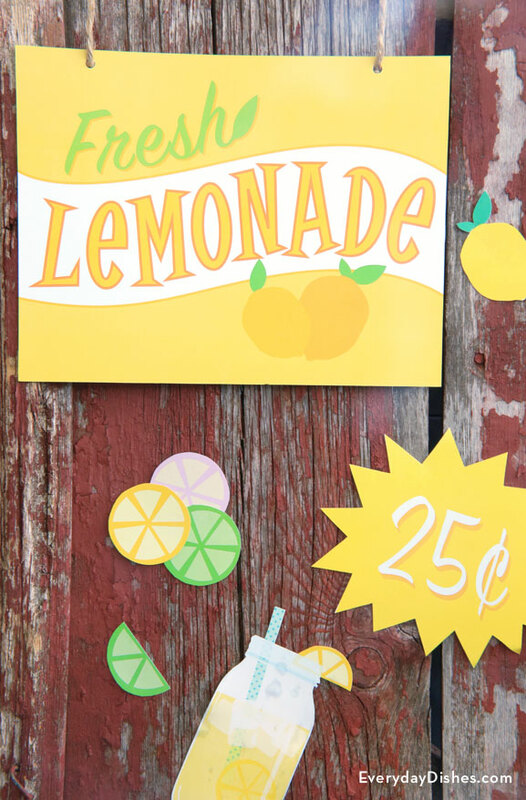 These lemonade stand signs are just the latest in our lineup of quick and super simple printables. Your kids will love the cheery, vibrant colors. The four signs are designed to catch the attention of potential customers and let the whole neighborhood know that you’re in business. Get ready, because the quarters are about to start rolling in! You can use these for pennants on the actual lemonade stand, too. Just make sure your printer is stocked with plenty of yellow ink. Then, duplicate the signs, punch a few holes and use string to hang them. Download the lemonade stand signs printable and open in Adobe Reader. There’s no way your neighbors could drive by and miss these bright lemonade stand signs!